But where do you start? Sure, you could just go around and try out anything that looks appetizing but you’re on vacation and the last thing you want is to waste your time and appetite by eating something subpar. Or even worse, you sample what looks like a safe street stall only to find yourself locked in the hotel for days on end because you contracted a stomach bug. 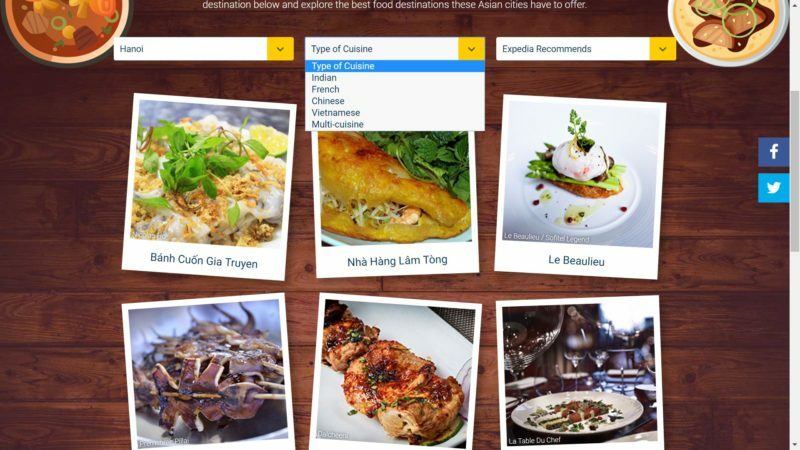 Well, thankfully Expedia has been nice enough to put together an Essential Food Guide to Asia which puts all the information in once place to make your vacation easier when it comes to finding the very best and most authentic Asian food. Whether you want to spoil yourself and a special someone to a fine dining experience at a Michelin Star restaurant or try out an ancient dish that has been passed through the generations and served straight out of grandma’s kitchen on a busy street corner, this amazing food guide has you covered. The food guide currently covers the giants of Asian cuisine which includes Korean, Japanese, Chinese, Thai, Vietnamese, Singaporean, Malaysian and Indonesian food. Are you looking for the smoky sweet meat of Korean barbecue? No problems. Do you want to skip the hunting and go straight to slurping the best ramen in Japan? Too easy. Have you ever wondered what a dumpling from a Michelin star restaurant tastes like? Wonder no more because this food guide will tell you exactly where you need to go. What I love most about this food guide is how efficient it is. When I am looking for places to eat, I want to know key information such as the quality and range of food I can expect, where I can find it and how much I can expect to pay. The essential food guide to Asia does all this by providing me with the most succinct and useful information. The only information you need to know is which city you are going to, the type of cuisine you are looking for and the kind of place where you want to eat whether it’s street food or fine dining. As I am going to Hanoi next month, I will use that as an example to demonstrate just how easy and useful this website is. As the home page lists all the cities that are covered, I simply hover my curser to Hanoi and click. Immediately, a list of options prop up and I can already feel my mouth salivating with delight as I take a good look at all that delicious food. The tough part about decisions is making one especially when it comes to food because I want to try it all. 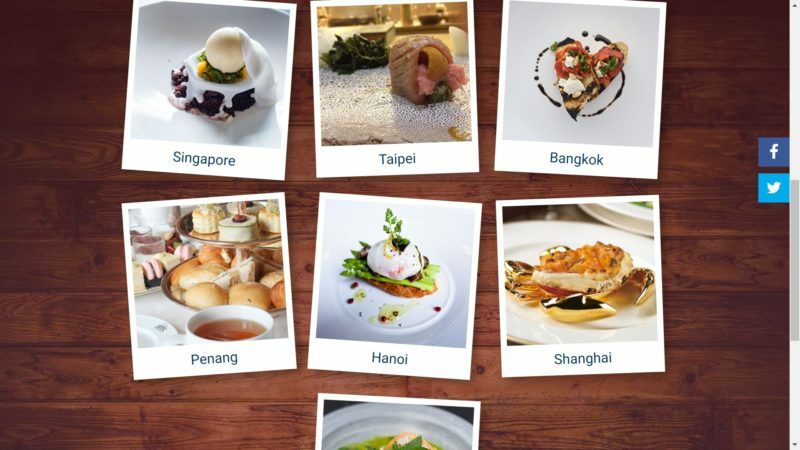 One of the cool features about this guide is that for each city, it categorizes the food into types of cuisines. All I have to do is click the middle drop down menu at the top. 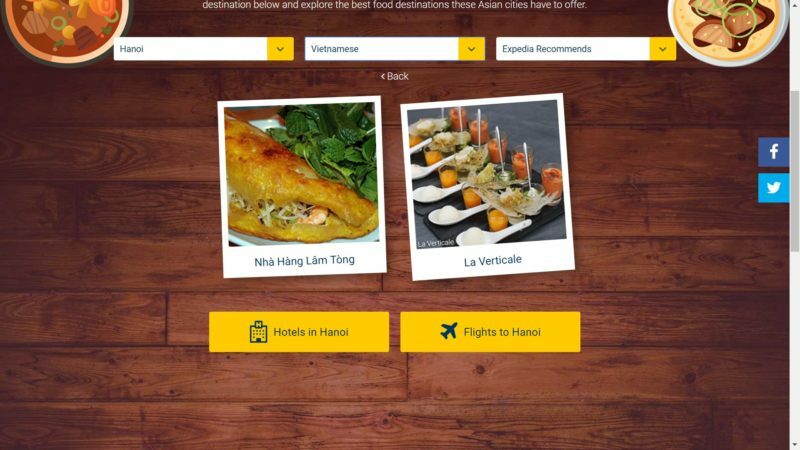 For Hanoi, I can see that there are Indian, French, Chinese, Vietnamese and Multi-Cuisine Options. I decide to go with Vietnamese food as I love authentic local food. 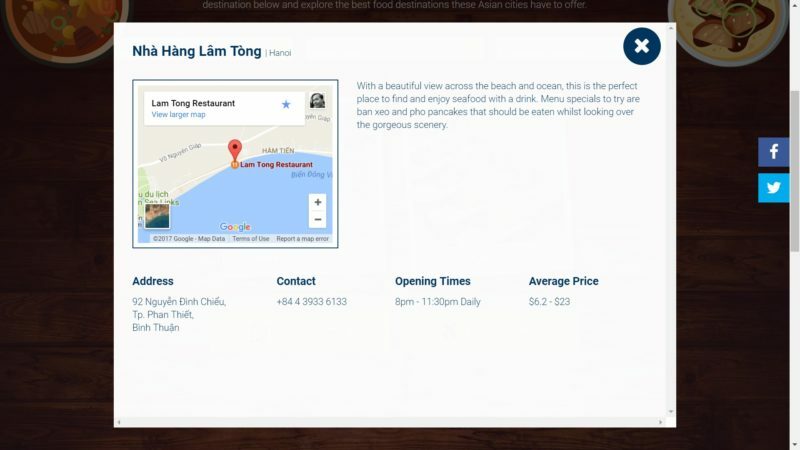 I go with the “Nha Hang Lam Tong” restaurant on the left as it looks more local. I like fine dining too but for now I want something really local. Voila. A window props up which gives me everything I need to know; a brief description, the address, a contact number, opening ties and what I can expect to pay on average. There’s even a Google map widget which shows you how to get there. If you have ever gone to Asia wanting to try authentic food and not knowing where to begin, then you have to check out this site. I know I’ll definitely be using it to guide me through Hanoi on my vacation.